Western boots have always given a certain look to the person wearing them but are also very comfortable. When you are looking for a nice pair of boots, contact Country Square Western Wear. 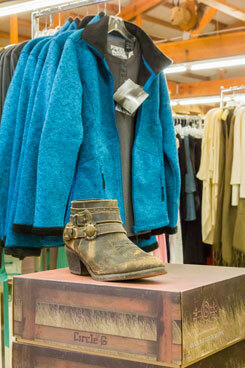 It offers a large selection of cowgirl boots and cowboy boots for Mercer Island, WA residents. We have different cowboy boots for work, play, casual wear or for dress. No matter the reason you are looking for a pair of cowboy boots, we will have something that will fit your tastes and needs. You can rely on us for superior quality cowboy boots at affordable prices. You can choose a pair of cowgirl boots according to the height of the boot or color which can be brown, black, tan or anything in between. Our selection offers cowgirl boots with round, square or snip shaped toes. You are able to find more than one pair of cowgirl boots that will fit whatever the occasion might be. Whatever the occasion or the purpose, you are sure to find a range of unique western boots with us. As a reliable dealer of the best western boots catering to Mercer Island, we assure you top quality products. Along with western boots, you can shop for other western wear and accessories with us. When you are looking for high-quality cowboy boots or cowgirl boots and are looking for a reliable company that services Mercer Island, call Country Square Western Wear at 253-220-7674.